Hope you are all feeling glamorous! 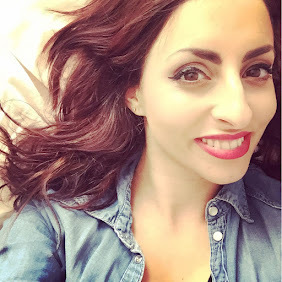 Here is a haul of beauty products that I purchased last week, my first haul post! Just literally popped into a couple of shops and got myself some treats! So here it goes! 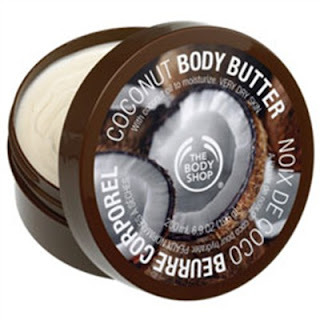 Body Shop body butter in coconut. £12.50. I love this body butter, no matter how many I try nothing compares. It is a bit pricey I think, but the pot lasts such a long time. I try to have routine, but struggle to keep up with it! It goes on smoothly and easily, with such a scent that everyone comments on! Once applied it lasts until I have a shower, sounds wierd! but literally I feel the moisture coming off my skin when I have a shower. Would definately reccomend this to everyone! I would try other scents, but never feel able to leave my trusty coconut! Body Shop Blusher Brush £12.00. I desperately needed a blusher brush and have to confess I always buy cheap ones in the hope they will last and apply my makeup well, but have yet to be impressed so if anyone can reccommend me a cheaper brush that would be fab! This brush feels soft to touch, i like my brushes a bit rounder as I like to put bronzer on and then my blusher on my cheekbones. This brush is lovely but a bit tricky to apply my bronzer on evenly. Lovely soft bristles though, but I think I would like to try a different one when I need a new one. 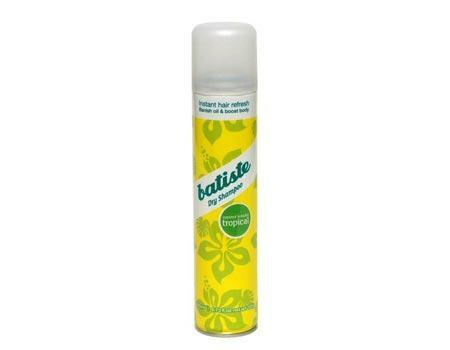 Batiste Dry Shampoo in Tropical £2.50. This is my must have product that I cant live without! Have tried all the scents and this is my favourite as I love sweet smelling scents. This dry shampoo soaks up excess oil, leaves hair feeling "freshly washed" and adds volume! I use this daily not necesarily for oil, but to add volume to my fine hair as it works wonders!A product I will buy again and again! Garnier skin naturals soothing cleansing lotion. £2.99. I always change my cleanser and toner skincare products as I havent found my "love" products yet! This lotion is a cleanser and removes eye makeup, it has no perfume, no alcohol or colourants so is suitable for sensitive skin. I love 2 in 1 products as saves time, especially as I have a little baby! This product takes off my makeup easily, I dont have to keep repeating the application. I wear long lasting eye liner and mascara which most eye makeup removers struggle to take off, but this lotion found them no problem! yipee!! This product is good value and a lovely lotion for any skincare routine. 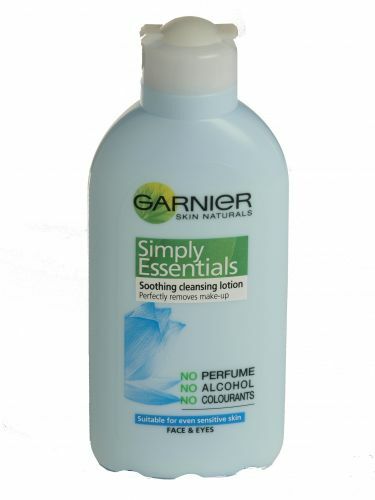 Garnier skin naturals soothing vitamin-enriched toner. £2.99. Most toners are either harsh on the skin or makes my skin feel dry. This toner is like the lotion, no perfume, alcohol or colourants so again suitable for sensitive skin. The toner is clear and takes any excess makeup off as well as making my skin feel enriched, soothed, fresh and "clean". Good value that is effective and ideal. Hope you found that useful, any recomendations then please let me know :) would love to hear from you lovely people.